Let’s say you’re planning a special meal for Valentine’s Day - but you need a cast-iron skillet to get the recipe just right. With Shopper, finding one is easy enough: just type in “cast iron skillet” or say it using Voice Search. Then, from the results, you can choose a specific product that appeals to you. Alternatively, if you were in the store and wanted to see product reviews, you could also scan the barcode of a particular product. 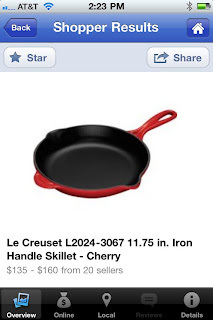 Once you’ve selected a product result, you can compare prices across web retailers, and even find where you can purchase the item nearby, which is especially useful for those of us who are last-minute shoppers. For some retailers, we also provide inventory information so you can see if a particular store branch has the item in stock, has limited availability, or if the item is out of stock and you should head to a different store. If you’re not sure about making a purchase or are building out a gift list, you can “star” products for future consideration. You can also share items with friends across your social network to let them know about products you love or great deals you've found. You can download Google Shopper for free in the App Store. 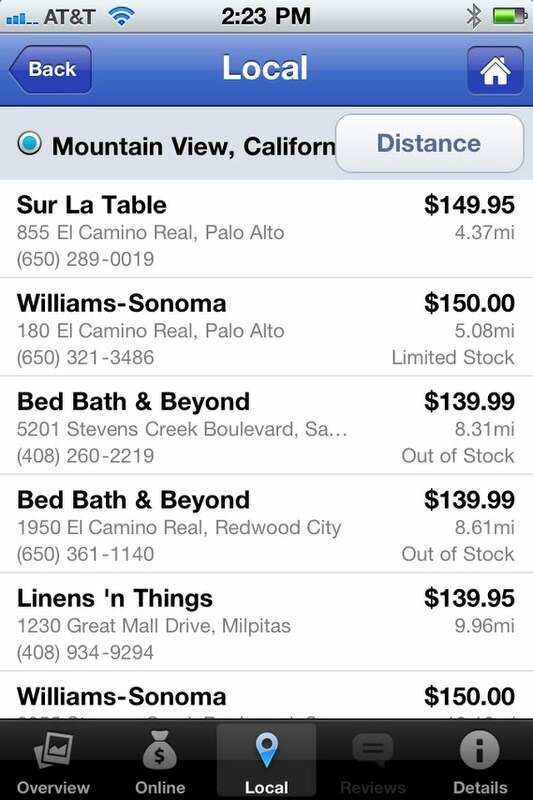 Shopper is available for iPhone 3GS and iPhone 4 with iOS 4.0+ in English only for the United States and the UK. We hope you enjoy shopping with Google Shopper! Will there ever be a native Google Talk app for the iPhone? when can we expect this for Germany?? Why restrict it to US and UK? There are plenty of other English-speaking markets, and English-speaking people across the globe. Oops yes. Google is US company, so international knowledge fail. any projected availability for the Canadian market? Why is it that when I click on the app store link, I get an error that says my request could not be completed. 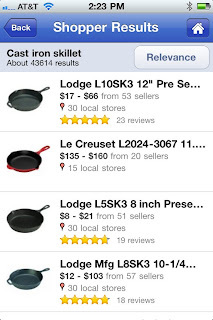 Curiously, a search for "google shopper" in the app store doesn't reveal this app. Has this app been pulled already? 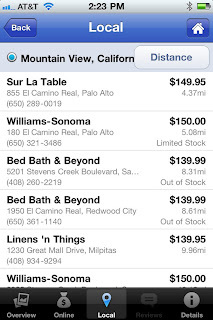 Congrats on the launch of Shopper for iPhone! 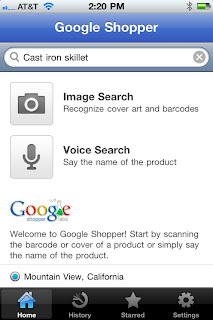 Pic2shop features a barcode scanner that works even without autofocus (iPhone 3G, iPod Touch 4, several Android models). My company, Vision Smarts, licenses the image processing software to read the barcodes. Several apps are happily using it under a white-label license. One day, all these apps that just give access to content will be replaced by proper mobile sites. Seems to be a fair bit of demand for international availability. May be worth getting out.